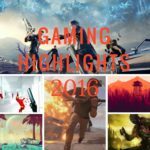 Although most of us will be happy to see the back of 2016, as a year in gaming it delivered some cracking experiences. However, it’s time to look ahead to the most anticipated games of 2017. I’ve tried to stick to games with a firm release date or 2017 launch window, rather than a wish list of games that probably won’t make it. 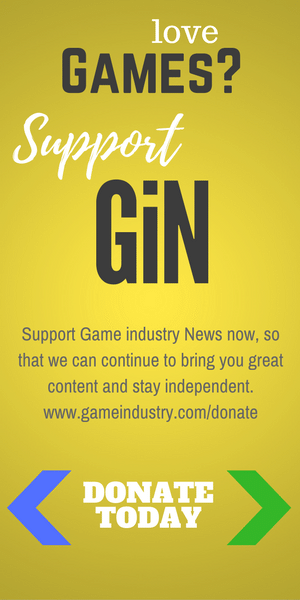 This means that the likes of Vampyr from Dontnod, Hellblade and a whole slew of indie games I’m really looking forward to didn’t make the list. This freshly announced Uncharted game brings together two of the best characters from this series. 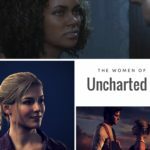 Nathan Drake’s ex, Chloe and sorely underused antagonist in Thief’s End, Nadine Ross are hunting for treasure in India in this standalone game. 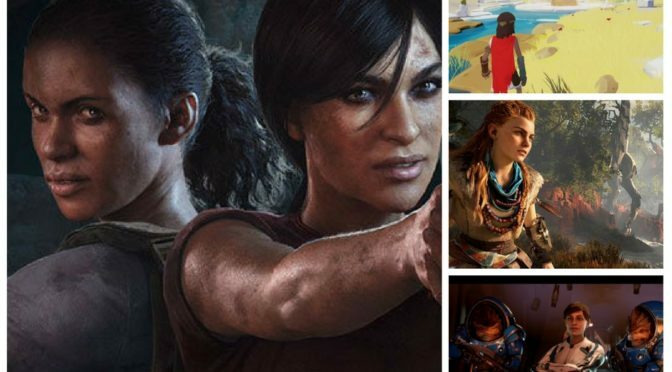 In an otherwise all white line-up for the games of 2017, The Lost Legacy gives us two women of colour with interesting back stories and I can’t wait to watch sparks fly between them. Robo-dinosaurs and a tribal girl with a cyber bow – what’s not to love about this new IP with plenty of promise, apart from the fact that it’s another white protagonist who could easily have been non-caucasian. Other than that, did I mention robot dinosaurs? In addition, it’s going to show off the PS4 Pro in all its glory, so get ready for a visual feast wrapped around a fun action adventure game. It’s actually happening…we think. Maybe. We’ve got a tentative December release date, but don’t be surprised if it slips. We’ve been waiting 13 years, so what’s another 12 months, in the grand scheme of gaming miracles. There’s not much to tell about Shenmue 3, except that Ryo is still searching for his father’s killer. 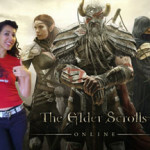 Game creator, Yu Suzuki, has hinted at four main characters, as well as a romance sub-plot, which plays with the idea that men and women think differently. Japanese dating sims aren’t exactly known for their insightful interpretations of female psychology, so I’m concerned about this aspect of the game. But it’s Shenmue 3, so it’s still a must play. It’s been on my most wanted list for a long time. Since a brief showing at E3 2013, there hasn’t been much news about Rime. Last week, the team revealed a May release for a puzzle adventure, which bears a striking resemblance to Ico. Small boy, big, beautiful world, magical fox companion – count me in. If, like me, you love Monument Valley and wish we could get new levels every week, then you may be interested in Manifold Garden. It’s an Escher-style architectural puzzler. You may have seen this game on my lists before, but this time I think it’s actually coming, as I’ve seen the developer working on menus and UI. I’m looking forward to getting lost in its clean, lines and minimalist psychedelia, if that can even be a thing. Coming to Wii U and the Nintendo Switch, the latest in the Zelda series promises a departure from the linear storytelling of the past 30 years with Link. Not only does it look eye-meltingly gorgeous, but it’s openworld with more scope for exploration and choice. Definitely a key title for the Switch launch. I’m not expecting a revolution from BioWare, when it comes to the latest story since the end of Captain Shephard’s trilogy. From the new footage, it looks like a very familiar Mass Effect experience, just with new characters, locations and maybe some new aliens. I’m okay with that, as long as the story is top notch and they build on the relationships and branching narrative that made the original games so compelling. Rockstar’s wild west openworld adventure is set to make a much anticipated return in 2017. It’s been a long time coming, but it’s time to saddle up and ride the open plains. The trailer hints at a prequel kind of deal and perhaps even native Americans, with an earlier time setting than the first game. There are also indications that we may get to ride as part of a posse, so dust off that Bon Jovi single for a Young Guns revival. Of all the games on this list, I’d say this is the most likely to slip to 2018, but I couldn’t resist. 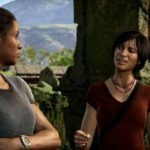 Uncharted: The Lost Legacy review – Nathan who? Previous PostRetro Game Friday: Spirit TracksNext PostWhat to consider about casino online gaming?